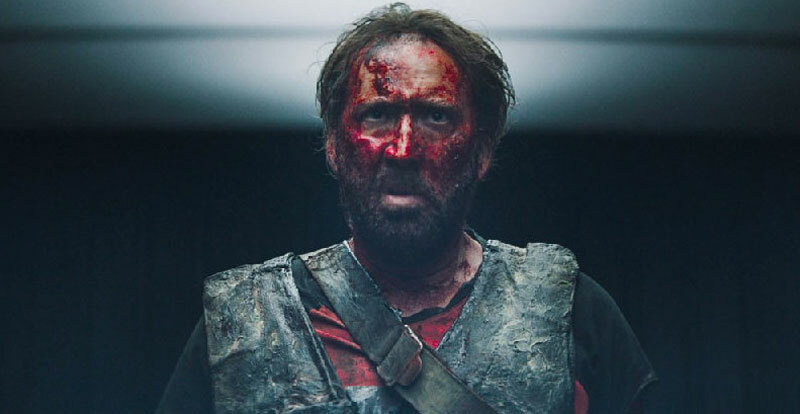 A phantasmagoric revenge thriller with a liberal dose of acid horror, splatter, heavy metal, and Nicolas Cage rage, Mandy is an insane movie the likes of which you’ve never seen before. Although if you’ve seen director Panos Cosmatos’s psychedelic 2010 debut feature, Beyond the Black Rainbow, you’ll already know this visionary filmmaker is adept at conjuring a nightmarish and hallucinatory experience, which has made him a favourite with cult movie fans. 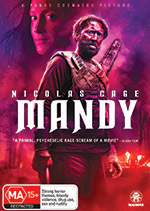 Mandy follows lumberjack Red Miller (Cage) on a bloody mission of vengeance, following the abduction of his lover, Mandy Bloom (Andrea Riseborough), by sinister cult leader Jeremiah Sand (Linus Roache). STACK spoke with Panos Cosmatos ahead of Mandy’s home entertainment release on November 28. It’s been eight years since Beyond the Black Rainbow. Did you know back then what you wanted to do next? When I was making Black Rainbow, I gave it some thought, and Mandy was definitely what I wanted to do next. I started writing it and then put it aside to try and get Black Rainbow finished, but it kept demanding my attention, and took years to get made. I have what my friend describes as a ‘morbid patience’. I quietly sat in a room and waited for six years [laughs]. What was the primary inspiration for Mandy? I wanted to do a film that was a revenge movie, but one that orbited around the essence of the person that had been lost. In many revenge films, the person that dies is essentially forgotten in the film, and it becomes more about the morbid fixation of man exacting his right to inflict unholy vengeance on everyone who has wronged him. I watched all the Death Wish movies in a row, and over the course of watching them, I had time to meditate on the idea of making a film where the absence or loss of a person would be the core principle of the entire film. Speaking of music, Mandy features one of the last scores by the late, great Jóhann Jóhannsson – how did he become involved with the film? I hadn’t thought of him because from my perspective, I never thought he’d want to be involved with this movie. But it turned out he was actually a fan of Beyond the Black Rainbow, and he reached out about working on my next project, and that was a delightful surprise. After talking to him, I started to realize that as well as being a brilliant composer, he was also an Icelandic metalhead. There was this whole other element of him, creatively, that had never really had the chance to be explored. How do you set about designing the distinctive look of your films? Building and iterating the look and sound of the film starts very early, for me. I don’t think of it so much as telling a story as creating this pop culture object from the ground up. I’ll come up with a title, taglines and posters for the film very early on, tones and images and a playlist that really inspires me. It all starts from a very audiovisual, arts and crafts kind of place. There’s a very specific quality I want these performances to have, and Nic is a very methodical and thoughtful actor who does a great deal of preparation. People think of him as this Tasmanian devil, but behind all that is a great deal of modulation on how to achieve things. Linus Roache and Andrea Riseborough also give fantastic performances – what was their initial reaction to becoming involved with a bizarre movie like Mandy? Linus was a bit more apprehensive than Andrea, I think. 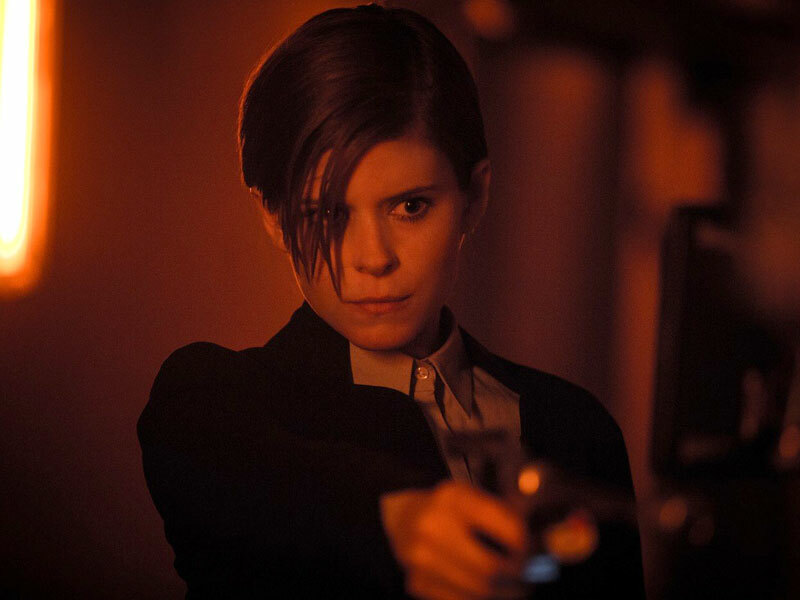 Andrea was a fan of Beyond the Black Rainbow and wanted to be involved in my next project, which was an amazing coincidence because she was my first choice to play the role of Mandy. From afar she’s like this controlled, British, Shakespearean actor, but it turned out there’s actually this kind of crazy, punk rock feeling about her. She was thrilled to be involved in a project like this. Linus didn’t really know what to make of the script initially, but then he watched Black Rainbow and that gave him an insight into it. In his own personal life experience, he’s encountered people like Jeremiah, and I think that was very important. 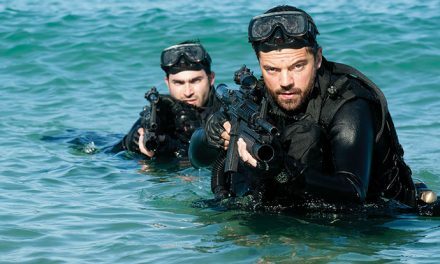 In America, you encounter people like Jeremiah Sand all the time; a lot of European actors who read the script had no frame of reference, whereas Linus did, and that helped him connect with it. 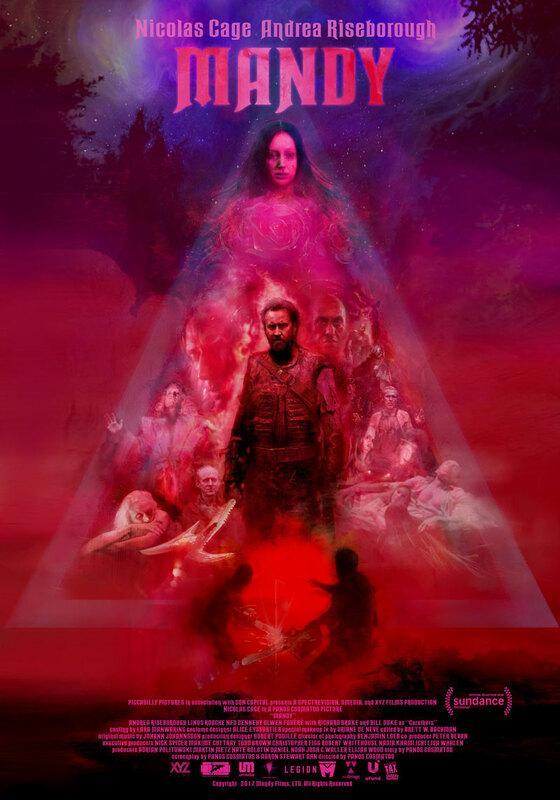 There are elements of Mandy that recall the work of Alejandro Jodorowsky and David Lynch, as well as the Hellraiser and Evil Dead movies. Which particular films and filmmakers influence your work? I’ve always loved Lynch and Jodorowsky, and George Miller, who made one of the first films I had the opportunity to watch a thousand times – Mad Max 2. I taped it off cable and played it until it literally wore out. I customised all my G.I. Joes in post-apocalyptic style and played Road Warrior. I was very specific in my references in creating a certain feeling of a film from the past – Black Rainbow was Phase IV and THX 1138. I felt a bit more comfortable just drawing from my own imagination this time, although I did read through old Dungeons & Dragons modules. At a certain point I realised it was drifting into a mystical, barbarian sort of film, and that was something that really appealed to me. I wanted to make it an integral part of the feeling of the film. I wanted that weapon to feel like a weird crystallisation of his grief and insanity. Both of your films are set in 1983 – does that particular year have a special significance for you? It’s not like a historical year in the context of the films, it’s more a realm of imagination I was exploring, going back and creating that imaginary film from looking at VHS covers as a kid and not being able to watch the films. It spawned this unholy, crazy concoction of what I thought these films might be like, and making that year the mythical realm in which they are set. What’s next for you, and will we have to wait another eight years? I think it will be probably be about five or six years [laughs]. I’m waiting to wrap up promoting the release of Mandy, and then I’ll have some time to meditate on that. I never thought I’d make a second film. 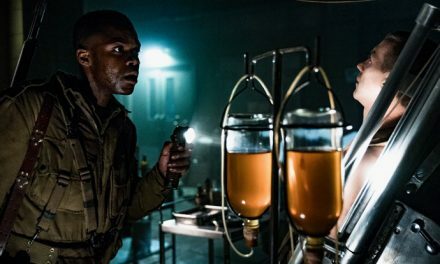 To be honest, I thought Black Rainbow would be it, so my goal with that movie was to make a pure representation of what I was all about at the time. It’s a miracle that Mandy exists!